Food is an essential part of any beach lime. 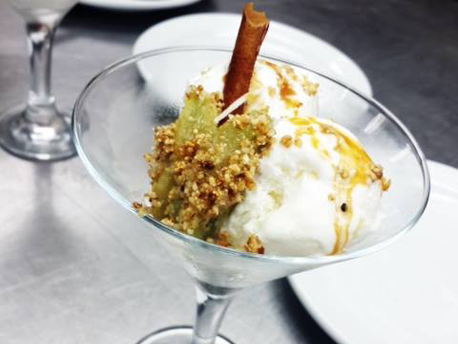 Here you'll find a number of eateries serving a mouth-watering array of flavours. Local dishes served side by side with world-class international cuisine. Whatever your tastes, we have you covered. 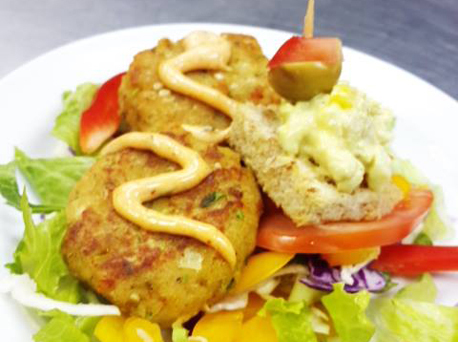 Located right on Main Beach, Caribbean Kitchen is a great place to grab a quick meal, snack or soft drink and get right back to the beach fun. 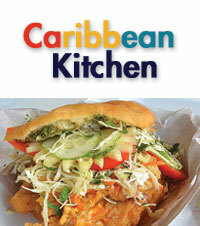 Try the flying fish & fries or Trinidad and Tobago's world famous bake & shark. It's simply delicious! 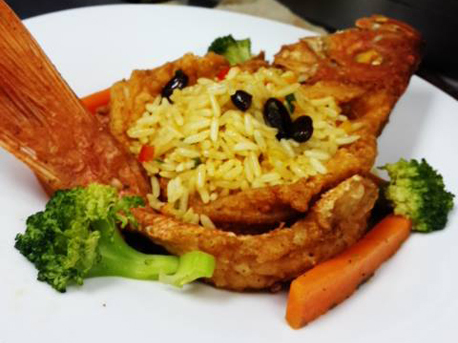 A good Creole dish is as Tobagonian an experience as you can have. 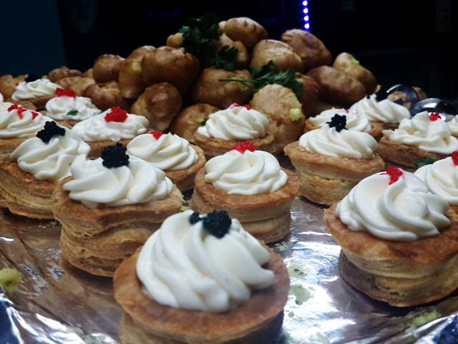 There's no better place to taste the proverbial sweet-hand than Liz's By D'Bay. Stew chicken, ox tail, salt fish, crab & dumpling are all done to perfection here. Liz's is located on the right just before the main entrance to the Park. 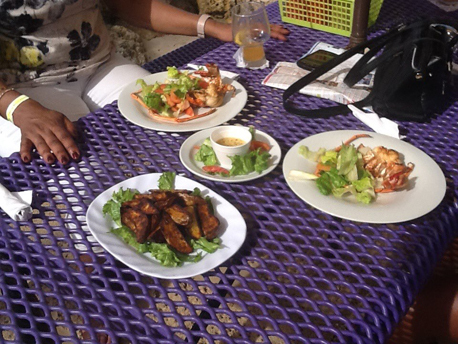 Tasty creole dishes like stew fish, curried goat, macaroni pie, pigeon peas and callaloo are served for lunch. 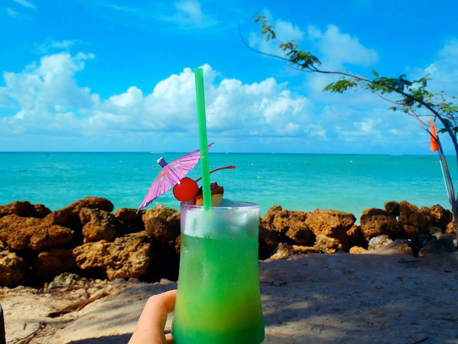 And of course, the beach bar experience would not be complete without great cocktails. Enjoy some authentic East Indian cuisine prepared by Lynette. 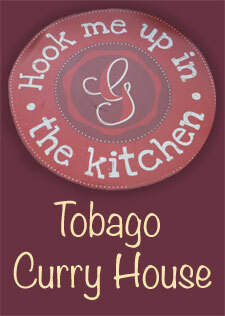 Located on the right just before the main entrance, Tobago Curry House specializes in all manner of curry and roti. Try some sada roti with pumpkin and dhal or go all out with some curry duck. Be sure to get a red soft drink to wash it all down. Traditions is a sports bar, a beach bar and a restaurant - and it does it all three well. Whether you're in the mood for exotic cocktails, global/creole fusion cuisine or just a burger and beer, they've got you covered. Ask about dinner on the jetty and try the signature shell-less crab & dumplings. Enjoy some authentic East Indian cuisine prepared by Lynette. Located on the left just before the main entrance, Tobago Curry House specializes in all manner of curry and roti. Try some sada roti with pumpkin and dhal or go all out with some curry duck. Be sure to get a red soft drink to wash it all down.